Intermap has teamed with Lufthansa Systems to bring a new View to aviation. 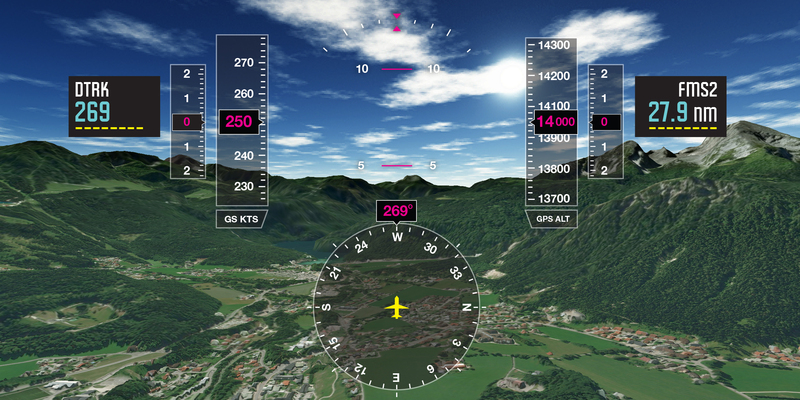 Lido/SurfaceData NEXTView incorporates the highest-quality terrain data available into an integrated system for unprecedented global situational awareness in the cockpit. See the Difference. This visualization of the Bergren airport shows the difference NEXTMap elevation makes. NEXTView’s precision surface detail enhances the pilot experience, while the top simulation using data from the ASTER (Advanced Spaceborne Thermal Emission and Reflection Radiometer) satellite – one of the most common terrain data sources – is unusable for aerodrome operations. Worldwide Coverage. Visualize 100% of the Earth’s 150 million square kilometers. Detailed Surface Data. Seamless 6-meter digital surface modeling of the Earth. EASA Certified. Planned certification to relevant industry standards and regulation for integration with flight safety systems. High Vertical Accuracy. Incredible 3-meter vertical accuracy that meets ICAO Annex 15 specifications. Detailed Obstacles. Plan safely and confidently with billions of obstructions identified around the globe such as buildings, mountain peaks, and trees. Aerodromes. Includes detailed modeling of aerodromes and runways. Aviation applications require reliable, up-to-date data where safety is paramount. Lido/SurfaceData NEXTView is specifically designed for aviation applications and systems.